Save 10%¹ on Filter Paks for Sub-Compact Utility Tractors, Compact Utility Tractors, and Utility Tractors. ¹Offer valid August 1st, 2018-October 31st, 2018. 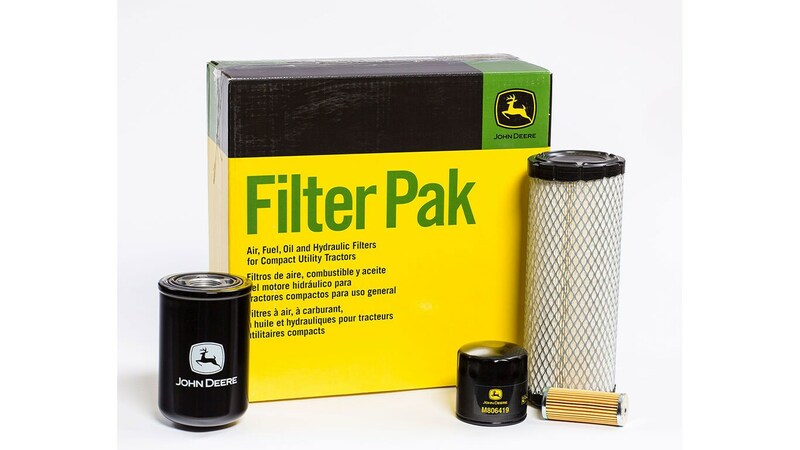 Receive 10% off of Filter Paks for Sub-Compact, Compact Utility and Utility Tractors. Savings applied to the total before shipping/delivery charges and consistent with applicable sales tax requirements. Standard shipping rates only. Redeemable at participating John Deere dealers in the U.S. and Canada and online at johndeere.com. If redeeming online at JohnDeereStore.com, enter coupon code “72726” at checkout to receive 10% off of a Filter Pak purchase.